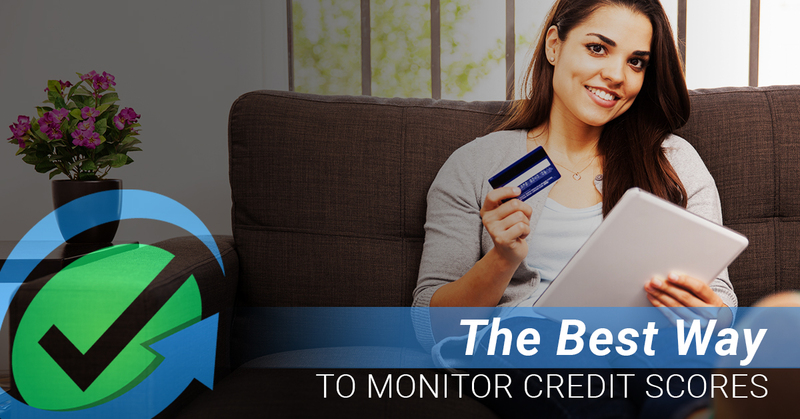 Many of our Facebook users have asked us questions about the best ways to monitor credit scores. Due to the popular demand and importance of this question, we want to give some advice about monitoring your credit scores. It is way better to be proactive about your credit now than wondering how to fix your credit later on. There are a few different options you have online in terms how to get your credit score, so we will outline the options and give our two cents. Be sure to watch the video above from our My Credit Guy CEO, Sam Parker, to watch him explain how to monitor credit in person. While there are numerous ways to receive your credit score online, we have outlined some options that we caution against and a few that we recommend. Annualcreditreport.com — on this site, you can request information from all three credit bureaus (TransUNion, Equifax, and Experian) once per year. The kicker here is that the site does not actually provide a credit score. Instead, they try to upsell you so that you purchase access to your credit score. For this reason, we don’t necessarily recommend this site. IdentityIQ — unlike annualcreditreport.com, we recommend using IdentityIQ to get your credit score. My Credit Guy has a negotiator rate, so you can get your credit scores for just one dollar. You should keep in mind that the credit score pulled by IdentityIQ might differ from the one that lenders pull. Assume that your score will be about 20-30 points higher than what would show if a bank pulled your credit. In addition to being incredibly affordable, this type of credit pull won’t hurt you because it’s a consumer credit pull (not a hard pull). If you have more specific questions about the best ways to monitor your credit score, contact our team at My Credit Guy. We have years of experience in the field, and we are happy to help clients who are proactive about their credit health. We mentioned the difference between hard versus consumer credit pull, so we wanted to expand briefly on this concept. A hard pull, also known as a hard inquiry, is when a bank, lender, or financial institution checks your credit to make a decision. While hard inquiries don’t necessarily have a huge affect on your credit, they can lower your score by a few points. If you have multiple hard inquiries in a short period of time — such as applying for multiple credit cards around the same time — it could flag you as a high-risk customer who plans to spend money they might not have. A consumer credit pull, or soft pull, does not affect your credit score. It’s more of an inquiry as to whether you would be approved if you decided to apply for a loan or credit line. Be proactive about your credit instead of worrying how to fix your credit later on. Call us for a free review today.